Since the weather started to get nicer here and the snow is mostly gone, I thought I’d tackle some research involving the cemeteries again. 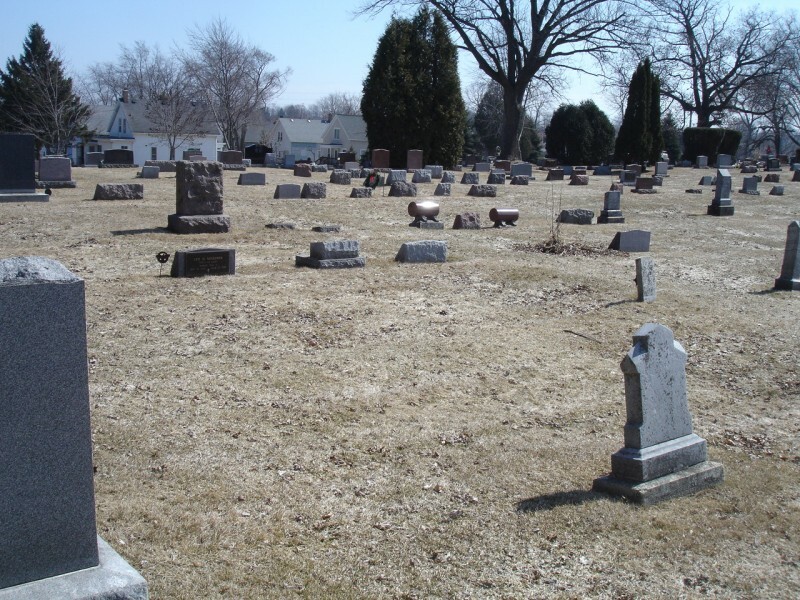 Two of my ancestors are known to have lived and died in the Port Washington, Ozaukee Co., Wisconsin area, but I had yet to pinpoint their final resting places. 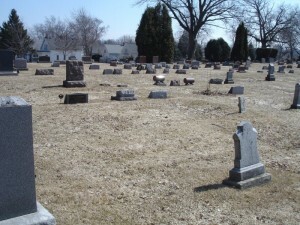 Today, since it was in the 50s outside, I decided to make another pass through the cemetery. I was planning on going anyway to get a requested volunteer photo via Find-a-Grave. I first walked through the stones in the older area figuring it should be in there, but I did not find anything (besides some very hard-to-read stones.) I then hit the next section, which does have some older stones on the edges. I also kept an eye out for military flags, stars, etc, especially the Civil War-related GAR signs. I then found a very worn headstone with the name “JHO. LAST”. I couldn’t make out the dates written on it until I realized it actually said “Co. K, 50th Wis Inf“ which was his exact Civil War information. Unfortunately, it had no vital dates listed, which I don’t have either. All I had for his death date was “Between 1870-1880” since he was listed in 1870 and then his wife was listed as “widow” in 1880. His birth date was based on the census records. Click for larger image – John’s stone is the small one on the right side, middle. Note the large gap to the left of it. There was also no Charlotte LAST stone nearby, or any LAST’s for that matter. I checked the rest of the cemetery and still no Charlotte. Since her death certificate notes that she is here (and most of the family is here) I can only assume her stone is either missing, unreadable or broken. There was a large gap (note in the photo) next to John’s headstone, which seemed out of place, so it is possible that she is there. There is also a stone that just says “Mother” on it near her son, Charles LAST. but he died long after Charlotte. Charles’ wife Augusta is also buried there and the “Mother” stone could be talking about her. But, that wasn’t the end of the good news for John LAST. It turns out I had his death date right under my nose the whole time. I found a listing of good Civil War indexes on Ancestry and decided to just search them all again. 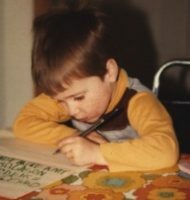 Most of the searches turned up documents I already had. Then I searched the “Headstones Provided for Deceased Union Civil War Veterans, 1879-1903” database. John was listed as recieving a headstone and on the index card it lists his death date as “14 Aug 1872.” That’ll teach me to make sure I check every database next time. I emailed the Port Washington Historical Society to see if Union Cemetery has burial index to see if maybe they have a specific plot where Charlotte may be buried. We’ll see how that works out.